Walls on the inside of the house can be either load-bearing parts of the structure or partitions that simply divide the house into rooms. Where interior walls are located, and not just how they are built, has important implications for the amount of natural light that reaches into the house interior. That, in turn, affects lighting needs, solar heat gain, and all-around livability. Like wall framing, floor framing has an obvious structural purpose, but layout and design can also affect plumbing and duct runs in ways that aren’t immediately obvious. Careful planning can reduce waste and boost efficiency. One of the problems with conventional interior framing is that spaces inside the house are fixed, essentially forever. Moving walls as the needs of occupants change is prohibitively difficult and expensive, in large part because walls are full of pipes and wires. Tedd Benson, who heads a design/build company in New Hampshire called Bensonwood, is an advocate of a design approach that seeks to disentangle the various layers of a house so that future changes, upgrades, and repairs will be easier. This design methodology, called “open building”, would substantially change the way interior framing is undertaken and make houses much more flexible and useful. It has been slow to catch on in the U.S. residential market. High noise levels inside the house can make everyone’s life miserable. If some rooms will house noisy activities–a room where a band practices, for example, or where a powerful music system will be installed–steps can be taken to limit the sound that spills into the rest of the house. Noise travels by conduction through solid materials or through the air, and there are a variety of steps that can help control it. 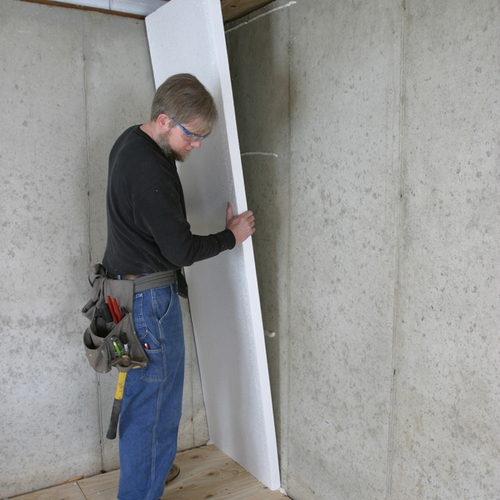 Using resilient channel on walls and ceilings to isolate drywall from framing is one fairly simple step that will help. Careful air sealing is another. It might make sense to consult an architect or other specialist in situations where activities are going to be especially noisy. 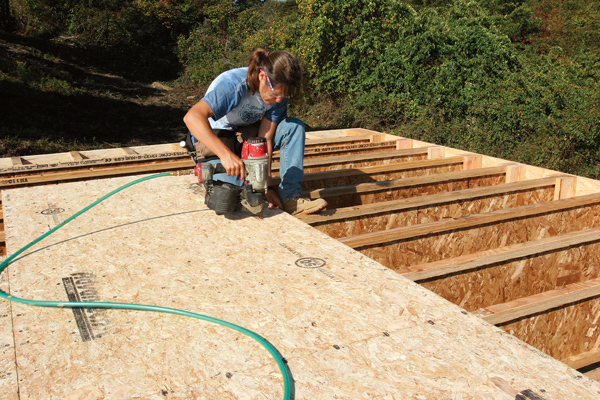 I-JOISTS MAKE AN ADAPTABLE FLOOR SYSTEM. 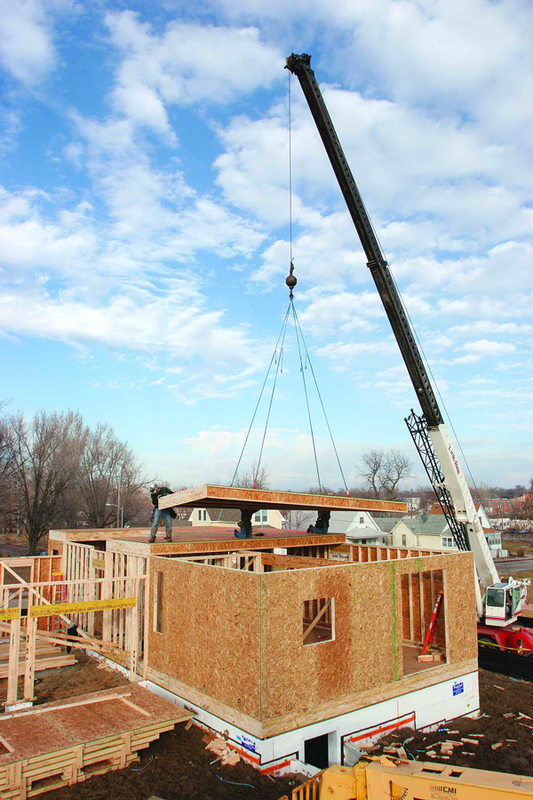 If a house is framed without load-bearing interior walls, it will be easier to move partitions to meet future needs. Partition walls affect how much light reaches the interior of a house, and this has a direct bearing on electrical consumption. Because interior walls intersect with outside walls, how the attach is important. Floor design can make duct runs more efficient and easier to install. Among material choices, light-gauge steel framing is worth considering as a substitute for 2x dimensional lumber in non-load-bearing partition walls. Steel is lighter than wood, comes with prepunched holes for plumbing and wiring, and is consistently straight. Steel studs contain recycled content, and they can be recycled or reused. As long as they are not used on exterior walls, steel studs have some real advantages. FACTORY-BUILT FLOORS can combine resource efficiency with efficient layout of living spaces and mechanical systems. They were initially only offered by iLevel. With the material, time, and labor savings inherent in this process, look for more lumber manufacturers to offer services such as this. Floor plans that make the most of natural light (a strategy called “daylighting”) reduce reliance on electricity and thus reduce household operating costs. Thoughtful floor plans also can shorten duct and plumbing runs, lowering construction and operating costs. An interior that has a lot of natural light makes for a pleasant and healthy environment. Plan room locations around the site’s sun exposure, and frame accordingly. For example, rooms frequently used during morning hours, such as the kitchen or a breakfast nook, should face east or southeast. Major living areas that face south can take advantage of the sun’s heat output in winter to reduce lighting and heating bills. Align skylights over stairwells to introduce natural light deep into the house. Minimize the length of duct and plumbing runs to lower construction and operating costs. When bathrooms are stacked over one another, for instance, instead of being located at opposite ends of the house, hot water doesn’t have to travel as far. Shorter duct runs offer the same advantage. 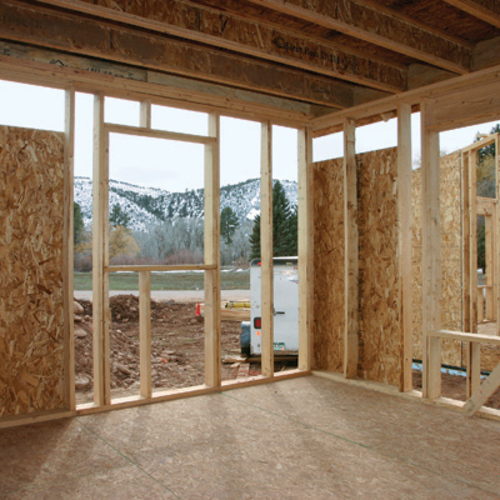 Interior framing should not compromise the integrity of either the thermal barrier or the air barrier. 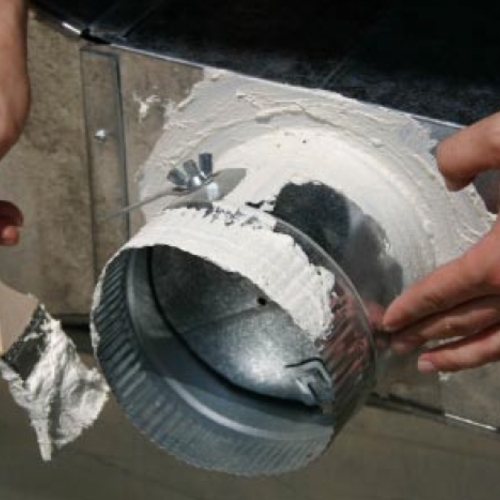 Use drywall clips instead of solid 2x corners to allow more insulation in exterior walls and to avoid popped screws and cracks in the finished walls. Air barriers and vapor barriers applied to the ceiling before interior partitions are tipped into place are more effective than those placed after the fact. 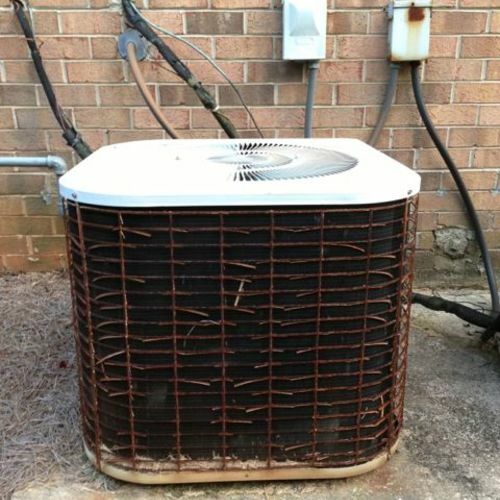 How floors are framed can have a significant impact on the overall efficiency of HVAC equipment and, thus, the cost of keeping a house comfortable. Installation costs also are affected. Floor system framing materials — 2x dimensional lumber versus open-web floor trusses, for instance— affect how easily the mechanical contractor can run air ducts. Ducts can be run between the webs of a floor truss, but they can’t be punched through a solid joist without compromising strength. I-joists have a more forgiving, but not unlimited, capacity for holes. Web designs in floor trusses vary; choose a web that can accommodate the maximum duct size required. Framing can be adjusted to accommodate ducts. The orientation of major bearing beams, along with the depth and type of floor joists, should be set in conjunction with HVAC plans. Changing floor framing may add cost, but a configuration that doesn’t work for the HVAC contractor may, in the end, cost even more. Ducts that must be routed into complex bends to get under bearing beams will be less efficient than straight runs and may make it impossible to turn a basement into a finished space later. Framing questions should be addressed early in the design process through a direct exchange of ideas between the architect and the HVAC contractor. By the time the HVAC contractor arrives at the job site, it’s too late to make major framing changes. The 2006 IRC includes provisions for wood floor framing in Section 502. Like other sections dedicated to framing, the floor framing section starts with the most general requirements like lumber grading and appropriate design loads. Maximum floor-joist spans (Table 502.3), girder and header spans (Table 502.5), maximum cantilevers (Table 502.3), and drilling and notching rules (Figure 502.8) can be found later in the section. Steel floor framing rules can be found in Section 505. Wood wall framing is covered in Sections 601 and 602. Figures 602.3(1) and 602.3(2) are helpful for determining where to look for specific rules regarding headers, drilling and notching, and fire blocking. Rules for steel wall framing are found in section 603, which includes material specifications, fastening schedules, and connection details. 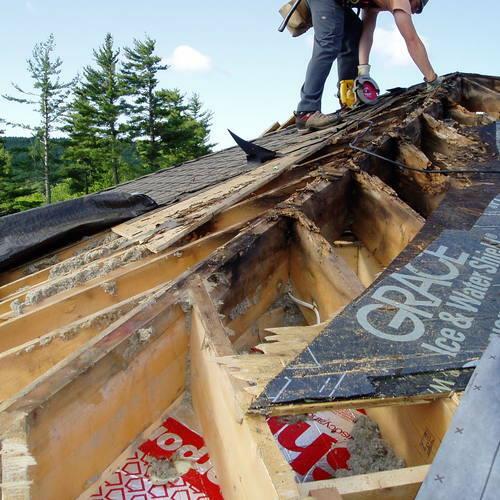 Houses on slab foundations often locate ductwork in an unconditioned attic. 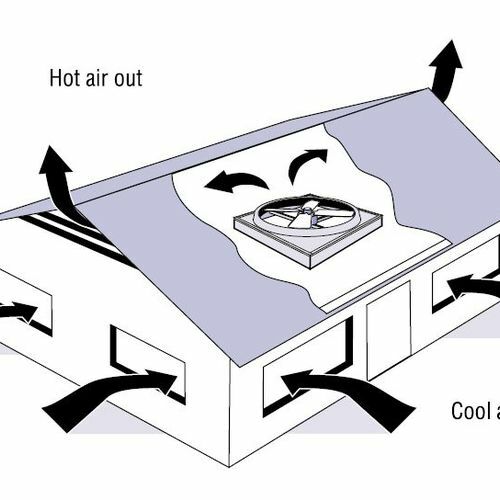 In a green home, however, all ductwork must be located inside the home’s thermal envelope. If ducts will run in interior soffits, ceiling heights must be generous and beams must be located with care. Look for drywall with recycled content. An alternative to standard drywall are panels made with recycled content, including by-products derived from stack scrubbers at coal-burning power plants. As is the case when ordering concrete in which fly ash replaces some of the cement, specifying these products helps recycle industrial waste. LEED-H Up to 4 points available under MR1 (Materials & Resources) for material-efficient framing. NGBS Under Chapter 6, “Resource Efficiency”: up to 9 points for advanced framing (601.2); up to 13 points for modular building dimensions (601.3); up to 14 points for detailed framing plan (601.4); up to 13 points for precut or preassembled framing components (601.5); up to 8 points for stacking floor areas (601.6).